Ministers have brought forward an exemption to the luxury car tax after black cab drivers were deterred from switching to electric taxis. Currently, all cars worth more than £40,000 are required to pay a Vehicle Excise Duty charge of £310 a year for five years. Chancellor Philip Hammond announced in the Autumn Budget that the charge would not apply to zero emission taxis bought from April 2019 onwards. Mr Hammond has now announced that the exemption will apply from next month, which will save taxi drivers £1,550 if they buy cars after that date. Treasury officials said that it is hoped that the move will incentivise cabbies to replace their old diesel taxi for a cleaner, greener electric version. Mr Hammond said: ‘We’re backing Britain’s black cab drivers to go green. This is a victory for the environment and new technologies, which I am determined to support as we build an economy fit for the future. Steve McNamara, general secretary of the LTDA, said: ‘The Government has finally listened to us and cabbies now won’t be paying the luxury car tax. 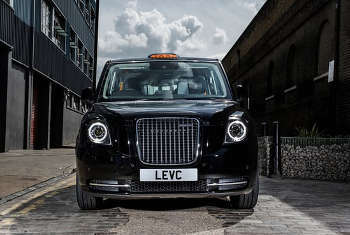 Chris Gubbey, chair of taxi maker LEVC, said: ‘A small number of drivers who already own the vehicle or are expecting to take delivery in March will still have to pay an additional £310 charge.